Eudonia strigalis - Hodges#4738 (Striped Eudonia). I found this moth during the fast warm evening of the year. We had the porch light on and suddenly a bunch of insects were back. 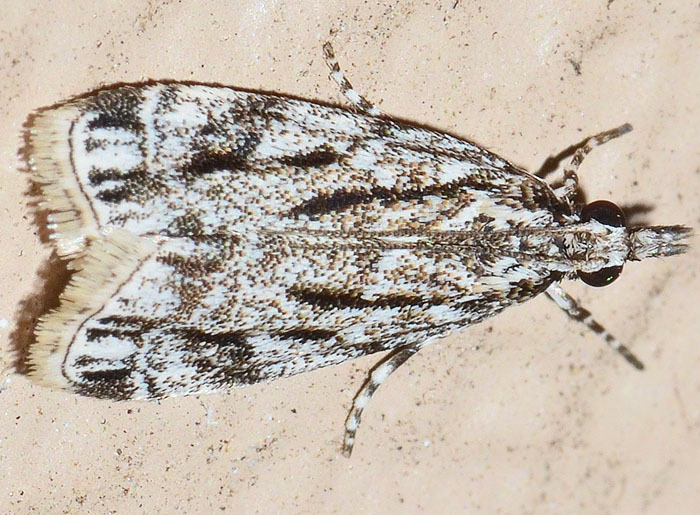 Eudonia has 18 species in America north of Mexico. The wingspan of this species is about 15 mm. The second link takes you to the original description of this species (back then Scoparia strigalis).